*Criticize or second-guess your choices? *Ruin happy times with their selfish behavior? *Give you gifts with strings attached? *Forbid you to disagree with them or punish you for doing so? *Use guilt or pressure to make you put their needs first? *Have a come-here/go-away style that was confusing and unsafe? *Create drama, scapegoating and disharmony in your family? *Seem never satisfied with you? *Become unhinged by your questions or independence? *Tell you that you could trust them, then disappoint or use you? *Minimize or ridicule your feelings and desires? *Need to be the center of attention or dominate conversations? *Leave you feeling trapped, unloved, hopeless or helpless? You may want to initially read down just the left-hand side of the table and identify any of the 13 patterns you experience as an adult. Then, for each pattern you identified, you may wish to go back and read the possible connection from your childhood listed on the right-hand side of the table. 1) Have difficulty making decisions? Your parents criticized or second-guessed your choices. 2) Get uncomfortable when good things happen? Your parents ruined good times with selfish behavior or gave gifts with strings attached. 3) Worry or ruminate over confrontations with others? Your parents forbade you to disagree with them or punished you for doing so. 4) Too often please others at your own expense? Your parents used guilt or pressure to make you put their needs first. 5) Feel unable to get close to others even when you want to? Your parents had a come-here/go-away style that was confusing and unsafe. 6) Find it difficult to relax, laugh or be spontaneous? Your parents behaved unpredictably or over-scrutinized you. 7) Feel inexplicably drawn to turmoil rather than harmony in your relationships? Your parents created drama, scapegoating and disharmony in your family. 8) Expect too much of yourself? Your parents never seemed satisfied with you. 9) View others as fragile or view yourself as too much for others to handle? Your parents played the martyr or became unhinged by your questions or independence. 10) Trust others unwisely or, conversely, find it hard to trust even when you want to? Your parents told you that you could trust them, then disappointed or used you. 11) Feel numb or have difficulty knowing what you are feeling? Your parents minimized or ridiculed your feelings and desires. 12) Feel extra-sensitive around bossy, entitled or manipulative people. Your parents needed to be the center of attention or dominate most conversations. 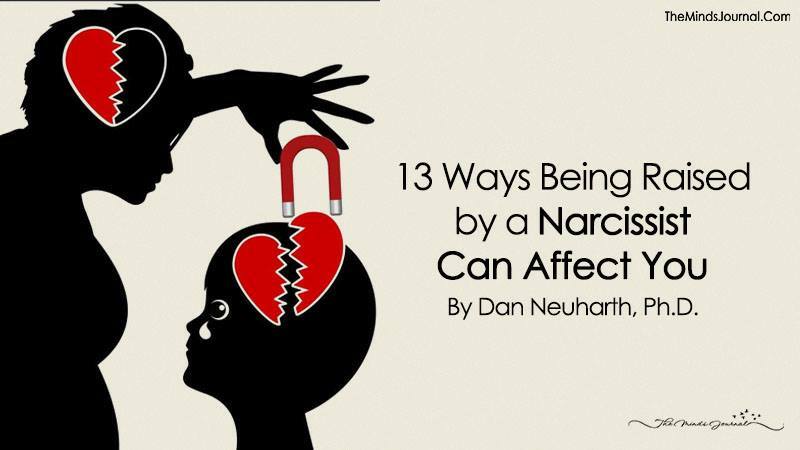 13) Self-soothe through excessive food, drink, shopping or other addictive behaviors? Your parents’ behavior left you feeling trapped, unloved, hopeless or helpless. Daniel could have easily avoided that by following simple rules of human interaction, but he wanted the machine to run over me.